Squamish, home of the world's most epic outdoor adventures, is the site of 2018 District 5040 Conference. From May 31st - June 3rd 2018 catch the spirit and become "hardwired for adventure". Your chance to share unique experiences and projects, learn about diverse cultures, learn more about our peace initiatives and learn about best practices from successful projects. The event will be held in a unique location, the West Coast Railway Heritage Park. What an event! Relive this year's conference with the conference video below. The Gala on Saturday night June 2nd will be a Happy Days ...50's Rock and Roll themed Rotary party. You will be entertained by the rocking Steve Elliott, a World Class tribute Singer and Entertainer from Vancouver BC. 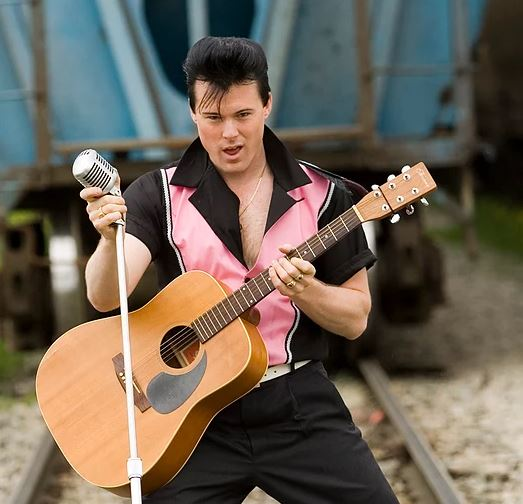 Steve is a full time Entertainer / Vocalist paying Tribute to the Centuries most Celebrated Entertainer... "Elvis Presley". Steve also excels in other Voices such as Neil Diamond and Roy Orbison! Imagine soaking up Western Canada's soul-stirring landscape from a bi-level glass-dome luxury coach while nibbling on gourmet meals created by Executive Chefs. Sound like a dream come true? It is! 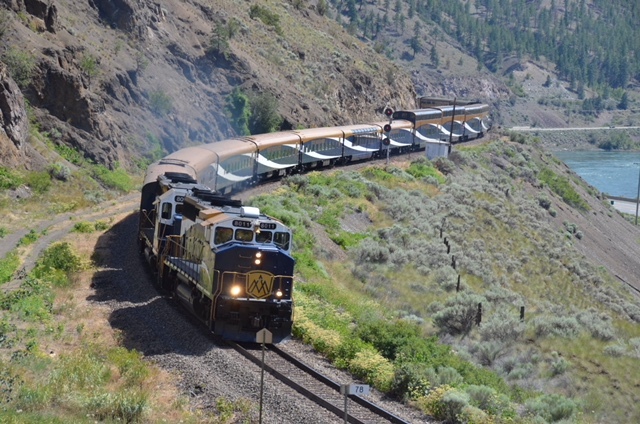 District Conference registrants will have a chance to have their name selected for a Rocky Mountaineer GoldLeaf trip for two valued at $5,000, as part of a fundraiser for Rotary. But - you have to be there! You must be registered and in attendance to qualify. Ever wonder what makes an Interactor inspired, a Rotaractor rejoice, a Youth Exchanger engage, or a Rotarian rejuvenate? Then you won’t want to miss this fast-paced, interactive session. Interested Rotarians will take a 9 minute journey to Quest University for a one-hour group exchange comprised of multi-generations from our Rotary family. Carefully selected questions will be asked, designed to help us learn more about each other and what makes us tick in our Rotary world. Those attending the District 5040 Conference will have a special opportunity to pick up some great strawberries. The Rotary Club of Squamish, in partnership with the Rotary Club of Abbotsford - Sumas, is holding a Strawberry Sale. Turns out that Rotary has some great Fraser Valley connections to some of the best locally grown strawberries. There is nothing added - no sugar, no water, no preservatives. Just yummy sliced strawberries They are washed, hulled and sliced then put into the pails. Ready to be enjoyed right away or frozen for use during the year. Proceeds will go towards a global grant to provide fistula clinics in Kenya. On Thursday May 31st start your Rotary experience with other Rotarians and attend RLI, or have some Rotary fun and play golf at the Squamish Golf Club, or maybe a guided tour of Britannia Mines or ride the Squamish Gondola to the top of the Chief! Expand your network of dedicated Rotarians and friends; grow your business make connections. Be inspired by the many outstanding speakers lined up for our plenary sessions who have been specifically chosen to appeal to young, old or in between! Show off your Rotary clubs projects at our poster event and project booths. Celebrate the "Rotarian of the year"! Could it be you? Celebrate the "Rotary Club of the Year"! Could it be your club this year? "We hope to see all Rotarians at our District Conference May 31st to June 3rd in Squamish at the West Coast Railway Heritage Park"
We are very pleased to present Nancy Hughes, a 2009 Rotary Service Above Self Award winner (one of only 100 presented worldwide) for StoveTeam International. Nancy's Plenary will be at 2PM on Friday June 1st. Prior to her work establishing StoveTeam International, she was a stay at home mom. In 2003 she met Irma, a young woman whose hands had been burned shut after falling into an open cooking fire. Wanting to help, she transformed a small Rotary club project into an effective international charity that has helped develop local factories to produce life-saving, fuel-efficient cookstoves in the developing world. Get the inside scoop of the workings of Rotary International from our own Dean Rohrs, Rotary International Vice President. Picnic on a real passenger train Saturday with a boxed lunch. Honour the passing of our Rotary friends at our annual memorial service Sunday morning June 3rd. This is a special event to attend. Shhhh.....there will be a secret special family and friend event on Friday evening. Stay tuned for the special announcement May 5th. Always a highlight is the presentation put on by the "Youth Exchange" students. How much fun can these young men and women have? We are excited to have Mitty Chang bring his youthful enthusiasm to your District Conference. Mitty has spoken at three international conferences and several district conferences on topics such as Rotary's future survival, Managing Change and attracting young people to Rotary - every one in the Rotary family needs to hear him! He is a must see if you are connecting with up and coming Rotarians. He is Chair-Elect of Rotary International's Rotaract-Interact Committee. Breaking News This just in! Rotary Family BBQ everyone invited. Please ask your friends, family (including children and grandchildren, cousins, uncles and aunts) to this family Barbeque event. Everyone is welcome. This promises to be a highlight of the conference. Need another reason to register and participate in the 2018 Rotary District Conference in Squamish BC? Announcing keynotes speaker BRIGADIER-GENERAL R.R.E. MACKENZIE, OMM, CD, CHIEF OF STAFF ARMY RESERVE. Brigadier General Mackenzie will share some stories of leading the Canadian Peacekeepng forces in Afghanistan! Are you interested in a Conference Booth? Booth costs will be a $50 reservation (refunded after attendance). Contact Paul Rollo pr@rolloassociates.com for additional information. During the 2017 District 5040 Conference the video below was shown to give conference attendees a glimpse of the plans for 2018. Here's your chance to relive that moment. Stay tuned for more great videos!